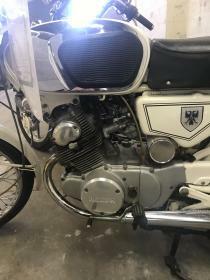 Hi guys, old Brit guy here, wanting advice on next bike, for gentle riding, fettling and summer only fun. We have a lot of ex USA bikes imported over here, so plenty of choice. Looking at either cb350 or cb450, probably 1971 or a little earlier. Would prefer drum front brakes. Whaddya reckon to either bike? Hi Mr. Racingt, I'll chip in with my personal experiences and opinions, but dont take them as gospel, I'm a crotchety old geezer a bit set in my ways. First thing to remember, these are 50 plius year old machines. Of the two, the 450 was built to a high quality standard, the 350 less so. Having said that, the 350 K1-3 were a very well designed package, the 450 overly complex for not much more performance. After 50 years and who knows how many previous owners, you need intrinsic reliability, or access to spare parts! The 350 is well served in this respect. Even so, if you want to resurect one of the imports, budget at least 6-8 hundred pounds just for the usual suspects, silencers, most chromework, tyres, chains etc. I know you guys in the states can pick these up for peanunts, not so over here in the UK. But, of the two, I must admit that the 450 does have more 'presance', but I chose a known good package (having owned both back in the day). I found the 450 vibratory, ill handling and heavy. (It also dropped a valve causing engine carnage). The cb250 was a delight and very perky, easy to chuck around and very reliable. I knew the insides of the 450 pretty intimately, never touched the 250. The 350 import I have just finished gives all the signs of being just as much fun as I remember. Hi again. Of all the motorcycles ever made, I think the CB72/77 to be the most perfect looking of them all. BUT...... These were designed in the 50's.... and built to 50's tolerances. OK if you treat then with extreme mechanical sympathy, but they have inherent weak spots that make them a little bit granady. I worked on mine over 15 years, slowly eliminating the weak spots. In the end, it was reliable (even at motorway speeds), but it was far from standard. 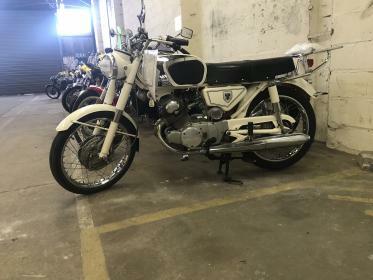 You wont go far wrong with a good condition CB 350 K1-2, still a classic with all your tick boxes ticked and far more robust and servicable. (I await the howls from CB CL 77 owners!). Bought a 1969 CB160 instead. In absolutely great condition 4200 miles on the clock, which I beleive. DieselKrampus and ctrider like this. Nice choice on the bike! Let's see some pics at your earliest convenience. I love the "tiny twins" as I like to call them, and I don't see too many 160's, 175's, or 200's around my local area (southeast PA, Mid-Atlantic region of the east coast USA). It seems like the 350's, (which I own one of) 450's, 500T's, and CB400F/500F/550's are the majority of vintage Hondas in my local region. I've been itching to build a CB/CL 175 or 200 for a while now, even have a buddy who said he'd be interested in buying the final product if I did complete such a build, but I need to see some complete bikes for inspiration! Bring on the pics, and don't be shy about showing any of the "patina"! We love that stuff here! 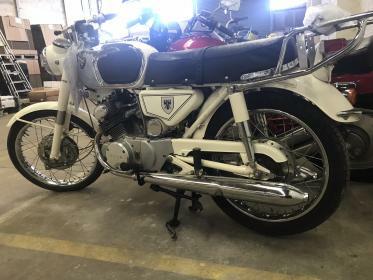 1969 model, looks like 4200 mileage is genuine, Ohio bike, currently in Suffolk, UK awaiting registration. I recieve in four weeks, can’t wait! I will spend a long time then recommissioning. Heidenau tyres already on order!.